Trump It! 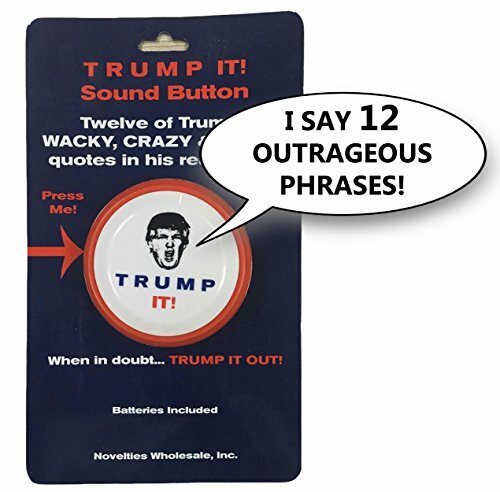 Sound Button-12 Of Donald Trumps Crazy, Wacky-Funny Quotes In His Real Voice from Novelties Wholesale, Inc. IT'S TRUMPS ACTUAL VOICE- The TRUMP IT! 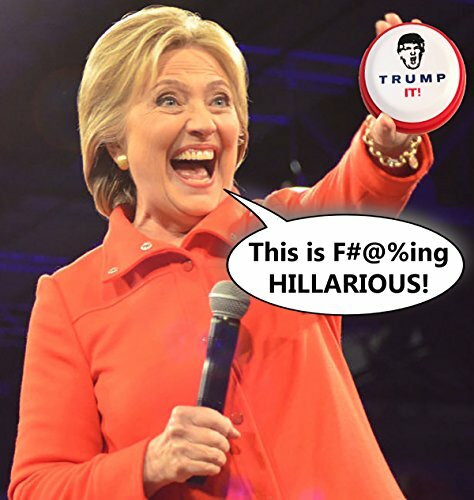 sound button uses Trumps actual voice- its not an imitation voice actor. 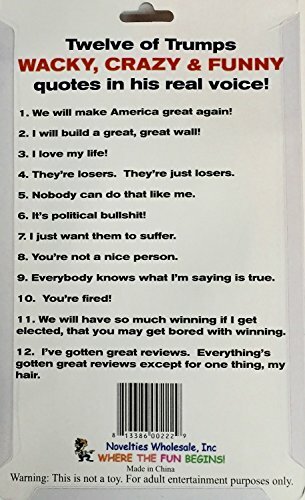 12 DONALD TRUMP CLASSIC SAYINGS-We used some of Donald Trumps most outrageous sayings and phrases. 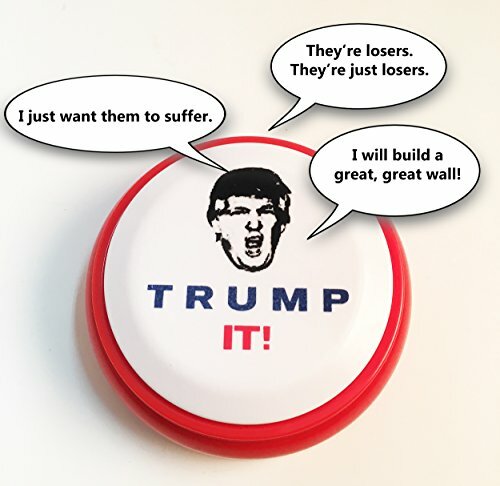 BATTERIES INCLUDED- These come with the batteries, just turn the switch to ON and press the Trump It! sound button to hear him speak. Goes great with the Donald Trump Talking Pen!! IN STOCK NOW-DONT' WAIT THE LAST SHIPMENT SOLD OUT IN LESS THAN 2 WEEKS TO ACTIVATE BUTTON-Use the ON/OFF switch on the bottom of the button. Turn to On position and press button. If batteries have weakened during transportation please replace with BRAND NEW batteries if necessary.